SolaHD, has introduced the SDU AC – A Series of DIN Rail 120VAC and 230VAC UPS, bringing a higher standard of performance to industrial power protection. Compact and affordable, the new UPS series helps businesses reduce production losses and maintain maximum output levels by delivering protection from damaging impulses and power interruptions to microprocessor-based devices. Featuring a new communications port for either networked Industrial Ethernet protocols (example: EtherNet/IP™) and discrete (passive – dry contact relay applications) for digital I/O processing. The SDU AC – A Series optional communication cards provide you the flexibility you desire while saving valuable DIN rail space. Loss of system availability due to a power disturbance translates directly into financial losses for the business, especially those using automated equipment. 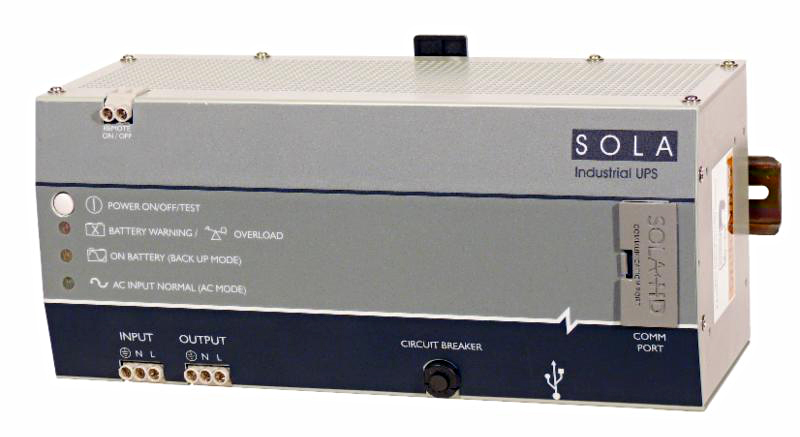 The SDU AC – A Series reliably safeguards highly-sensitive electronic devices from impulses and surges on the factory floor. Featuring unparalleled Off-Line capabilities, the SDU AC – A UPS is the next generation in SolaHD industrial power protection. In the event of a power disturbance. For example, the off-line technology will provide immediate back-up AC for up to four minutes so that processes can safely continue or be safely shut-down minimizing losses. In addition so continuity of process control is maintained for maximum productivity and profitability. With sales support across Canada, Xtronics brings a unique product offering to the Industrial, Medical, Transportation and Energy markets. When it comes to sensing, switching and power applications, Xtronics provides unique solutions and expertise that is unparalleled in the Canadian market. Copyright © 2018 X Tronics Inc. All rights reserved.